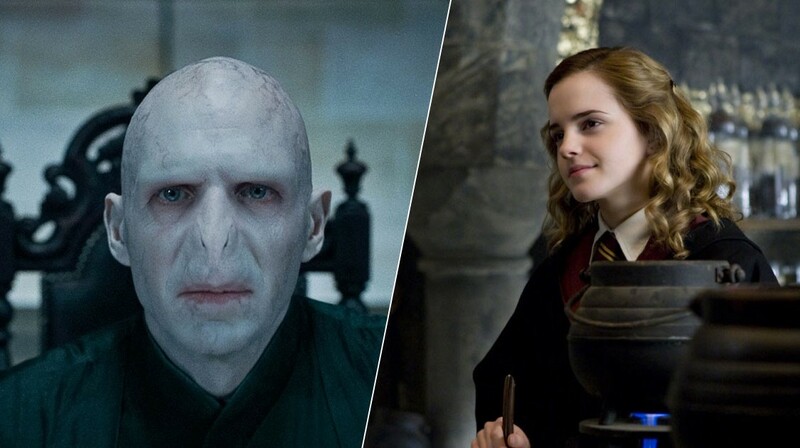 HERMIONE VS. VOLDEMORT: WHAT DENIERS CAN TEACH US HOW TO DEBATE TRUMP | "Global Possibilities"
Clinton needs to hammer away on climate change. The bad guys may always lose in the end of movies like Harry Potter, but not in real life. The most important rule in modern public debating is that there are no rules. That means it’s very hard to beat outright someone like Donald Trump — a professional B.S. artist skilled in the art of rhetoric (persuasive, emotional speech). 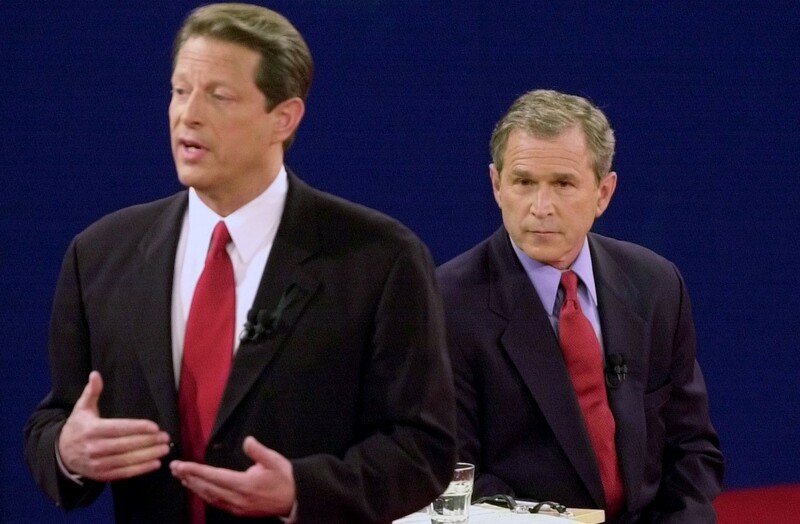 Indeed, Hillary will have to work extra hard not to seem “too smart” or a “know it all” like Hermione — since that can also be fatal, as Al Gore learned in his first debate with George W. Bush. And then we have to add in the ridiculous double standards that women face in debating, which was summarized in an excellent Washington Post piece Sunday. So, Hermione starts at a severe disadvantage in a contest against Voldemort. Still, there are winning strategies, such as focusing attention on Trump’s denial and ignorance of basic climate science. As I discuss below, it’s one of the only topics Trump will invariably B.S. about that is winning with all key swing voters and winning with the media’s post-debate analysis. But first, let’s understand how we got here. There are no rules in political debates for the simple reason that meaningful rules in sports and other contests require 1) both sides to agree on those rules and 2) referees accepted by both sides to enforce them. But TV media personalities in particular long ago shifted away from being professional journalists who call balls and strikes on serial misinformers and misrepresenters and toward being eyeball-driven entertainers who thrive on stoking drama and controversy. That was exemplified by the widely vilified dual “interviews” of Clinton and Trump by TV personality Matt Lauer. The result is that persuasive liars have an inherent advantage in any debate that is effectively unmoderated and unrefereed. This is true not merely in political debates but also in most other kinds of public debates. Indeed, the strategy became so common among deniers of evolution and climate science that scientists created the term for “Gish Gallup,” after creationist Duane Gish. The power of the “Gish Gallup,” which could be rechristened the Trump Tirade, is that it is all but impossible to rebut all of those misrepresentations in real time. And of course, rebuttals are inherently less emotionally compelling than a story built around a well-connected series of falsehoods. Of course, not debating isn’t an option for Clinton. And she is not going to suddenly become a great orator like Lincoln or Churchill. That’s where climate change comes in. While Trump is indeed an expert at the difficult-to-defeat Trump Tirade, he isn’t actually knowledgeable in the subject matter as a true Gish Galloper is. In fact, as I’ve written, Trump doesn’t even know the most basic climate science denier talking points. More importantly, polling and public opinion research makes clear that climate change is one of the most broadly winning issues available to a smart Democratic politician. “Americans across political lines, except conservative Republicans, would support a presidential candidate who strongly supports taking action to reduce global warming,” recent research finds. The issue plays especially well with key voting blocs in this year’s election, including millennials, independents, and moderate GOP women. 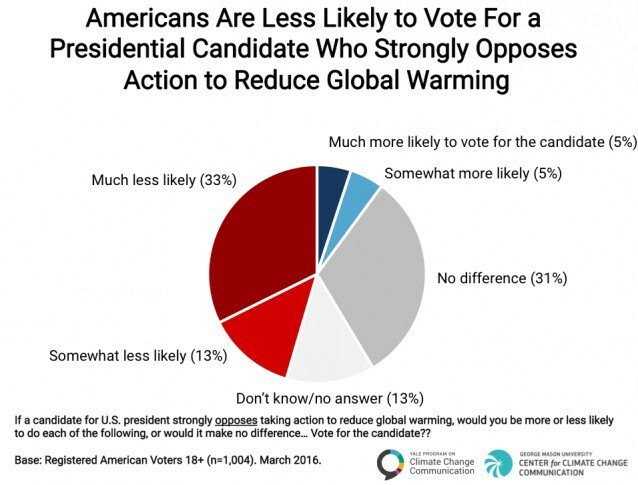 Significantly, the Yale and George Mason researchers found that the number of Americans who are “more likely to vote for a presidential candidate who strongly supports taking action to reduce global warming,” exceeds the number who would be less likely to vote for such a candidate by a factor of 3-to-1 (43 percent to 14 percent). The researcher also find that the number of Americans who are “less likely to vote for a presidential candidate who strongly opposes taking action to reduce global warming,” exceeds the number who would be more likely to vote for such a candidate by a factor of 4-to-1 (45 percent vs. 11 percent). In particular, “Democrats, Independents and liberal/moderate Republicans are much less likely to vote” for such a candidate by -63, -31, and -24 percentage points respectively. CNN climate columnist Jon Sutter recently penned a piece, “Debate moderators should ask Trump about his disastrous climate policy.” It’s a good sentiment — and Trump’s climate policy would be disastrous — but it’s probably targeted at the wrong people. If we go on the basis of every single debate moderator in recent memory, then the exact number of times Lester Holt is going to bring up climate change is either 0 or 1 — and the smart money would be on 0. But repetition is what drives winning messages. And repetition is what would force the media to feature this issue in the post-debate analysis. And this is arguable the most clear-cut issue where Trump is just spouting long-debunked anti-scientific B.S. So it’s up to Hermione to press this issue if she wants to defeat the Dark Lord.